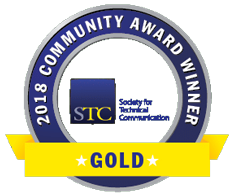 We are the STC Washington, DC – Baltimore (WDCB) Chapter—The Society for Technical Communication (STC) is a Section 501(c)(3) organization for technical communicators. Our website address is: https://events.stcwdc.org. 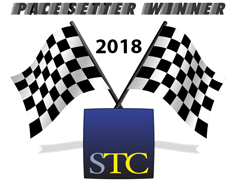 The names and contact information on this website are published to facilitate contact with those listed for our reader's and STC purposes only. This information is not intended, and we ask that it not be used, for commercial purposes. Generally speaking, you can visit the pages of the STC Washington, DC – Baltimore (WDCB) Chapter website without telling us who you are or revealing any personal information. Some portions of this website require personal information so you can complete certain activities such as sending us feedback. These pages will ask you to enter personal information such as your name, mailing address, phone numbers, and e-mail address. The information that you type in these forms is necessary to complete the action for processing the form. We ask for this information for communication purposes only and do not store it in a database. We do not sell or pass this information on to any third parties. For visitors to this website who are not registered users of the STC Washington, DC – Baltimore (WDCB) Chapter website, "Session" cookies will not be used to track your visit. No cookies for this website will be saved for future visits. If you are a registered user on this website and you log in to this site, we will set a temporary cookie to determine if your browser accepts cookies. This cookie contains no personal data and is discarded when you close your browser. If you are a registered user on this website, when you log in, we will also set up several cookies to save your login information and your screen display choices. Login cookies last for two days, and screen options cookies last for a year. If you select "Remember Me", your login will persist for two weeks. If you log out of your account, the login cookies will be removed. By default, WordPress does not collect any analytics data. This website uses the Google Analytics plugin for WordPress by Monsterinsights to see how visitors find and use our website so we can keep you coming back. The HTTP request for any web page contains details about the browser and the computer making the request such as the hostname, the browser type, referrer, and language. In addition, the DOM of most browsers provides access to more detailed browser and system information such as Java and Flash support and screen resolution. Analytics also sets and reads first-party cookies on your browsers in order to obtain user session information from the page request. When all this information is collected, it is sent to the Analytics servers in the form of a long list of parameters attached to a single-pixel GIF image request. The data contained in the GIF request is the data sent to the Google Analytics servers, which then gets processed and ends up in our reports. This website uses three anti-spam WordPress plugins as a defence against spammers and hackers. These are Akismet Anti-Spam, Stop Spammers, and Wordfence. The information processed by these plugins is used for validating whether the commenter and the comments are safe to post to this website. the plugins check that the commenter is not listed in a spam database of hackers or coming from an unsafe website IP address. The Akismet Anti-Spam WordPress plugin collects information about visitors who comment on websites that use the Akismet anti-spam service. The information Akismet collects depends on how the website owner sets up Akismet for the website, but typically includes the commenter's IP address, user agent, referrer, and website URL (along with other information directly provided by the commenter such as their name, username, email address, and the comment itself). The Stop Spammers WordPress plugin blocks spammers from leaving comments or logging in. It protects sites from robot registrations and malicious attacks. Stop Spammers is capable of performing more than 20 different checks for spam and malicious events and can block spam from over 100 different countries. Stop Spammers uses multiple methods for detecting spam. In cases where spam is detected, users are offered a second chance to post their comments or login. Denied requests are presented with a CAPTCHA screen in order to prevent legitimate users from being blocked. The CAPTCHA can be configured as OpenCaptcha, Google reCAPTCHA, or SolveMedia CAPTCHA. The CAPTCHA will only appear when a user is denied access as a spammer. The Wordfence Security WordPress plugin is an anti-virus, website firewall, and malware scanner. Data will be recorded of site visits such as successful and failed login attempts, which will include the actor's IP address and user agent. If an IP address is identified as harmful the address may be temporarily banned or permanently banned from accessing the website again. We use a few features of the Jetpack plugin for WordPress. This feature only records activities of a site's registered users. Data Used: To deliver this functionality and record activities around site management, the following information is captured: user email address, user role, user login, user display name, WordPress.com and local user IDs, the activity to be recorded, the WordPress.com-connected site ID of the site on which the activity takes place, the site's Jetpack version, and the timestamp of the activity. Some activities may also include the actor's IP address (login attempts, for example) and user agent. Activity Tracked: Login attempts/actions, post and page update and publish actions, comment/pingback submission and management actions, plugin and theme management actions, widget updates, user management actions, and the modification of other various site settings and options. See the complete list of currently-recorded activities (along with retention information). Data Used: The WordPress Jetpack plugin collects page view analytics for the website, using the WordPress.com Stats function with additional loads. The following information is used: IP address, WordPress.com user ID (if logged in), WordPress.com username (if logged in), user agent, visiting URL, referring URL, timestamp of event, browser language, country code. Activity Tracked: Page views will be tracked with each additional load (that is, when you scroll down to the bottom of the page and a new set of posts loads automatically). If the site owner has enabled Google Analytics to work with this feature, a page view event will also be sent to the appropriate Google Analytics account with each additional load. Data Used: To initiate and process subscriptions, the following information is used: subscriber's email address and the ID of the post or comment (depending on the specific subscription being processed). In the event of a new subscription being initiated, we also collect some basic server data, including all the subscribing user's HTTP request headers, the IP address from which the subscribing user is viewing the page, and the URI which was given in order to access the page (REQUEST_URI and DOCUMENT_URI). This server data is used for the exclusive purpose of monitoring and preventing abuse and spam. Activity Tracked: Functionality cookies are set for a duration of 347 days to remember a visitor's blog and post subscription choices if, in fact, they have an active subscription. Data Used: IP address, WordPress.com user ID (if logged in), WordPress.com username (if logged in), user agent, visiting URL, referring URL, timestamp of event, browser language, country code. Important: The site owner does not have access to any of this information through this feature. For example, a site owner can see that a specific post has 285 views, but he/she cannot see which specific users/accounts viewed that post. Stats logs – containing visitor IP addresses and WordPress.com usernames (if available) – are retained by Automattic for 28 days and are used for the sole purpose of powering this feature. We will tell you of any changes to our privacy policies by posting a notice on our website. Those changes will go into effect on the date posted in the notice. The new policy will apply to everyone using our website and will replace any earlier policies.